PIERRE, S.D.—“Tasunka: A Lakota Horse Legend” has won the Gold Award for Children’s Picture Books from Mom’s Choice Awards® (MCA). Written and illustrated by Donald F. Montileaux, the book was published earlier this year by the South Dakota State Historical Society. 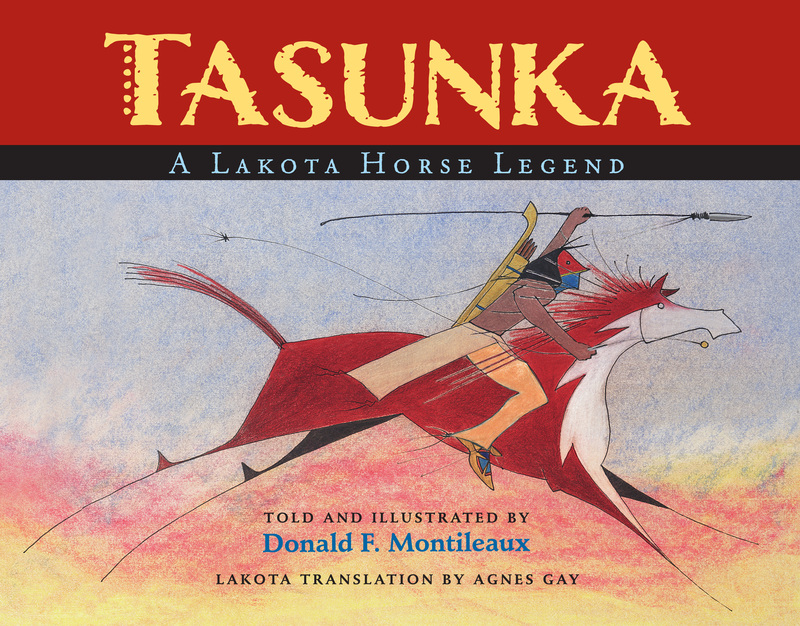 “Tasunka” is a story of adventure, discovery, loss and renewal, set to beautiful ledger-style illustrations that illuminate the story of the horse and its importance to the plains people. Readers journey with a young warrior as he tracks a strange new creature across the plains. Far from home, he discovers beasts that run as swift as the wind and shimmer with many colors. The young Lakota warrior captures and tames them, and his people grow rich and powerful. Then the Great Spirit, who gave the gift of the horse, takes it away. MCA evaluates products from around the world created for children and families. Judges come from a variety of backgrounds and appraise a book’s quality, educational value, originality and appeal. 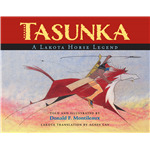 “Tasunka: A Lakota Horse Legend” is available for $19.95 plus shipping and tax from most bookstores or ordered directly from the South Dakota State Historical Society Press. Visit www.sdshspress.com, call (605) 773-6009 or email orders@sdshspress.com.